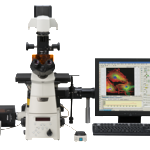 Nikon’s Eclipse Ni-E upright research microscope incorporates a revolutionary modular design that allows easy expansion and precise system customization. Nikon’s latest innovation in clinical microscopy. The Nikon Eclipse Ci-E offers the most advanced ergonomics, durability and an unsurpassed view wrapped into a fully automated, compact design. The Ni-U can be configured in a multitude of ways depending on the requirements of the user. Its adaptability makes it suitable for many applications, from clinical examination to research, and features motorized accessories that include nosepiece, fluorescence attachment, and shutter. 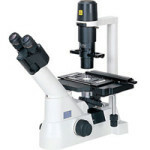 The Eclipse E200-LED is an ideal microscope for basic laboratory use or as a student microscope for educational purposes. With its newly developed LED Eco-Illumination system, the laboratory microscope produces brighter, sharper, crisper, and clearer images for a noticeably enhanced view. The Eclipse Ti2 delivers an unparalleled 25mm field of view (FOV) that revolutionizes the way you see. With this incredible FOV, the Ti2 maximizes the sensor area of large-format CMOS cameras without making compromises, and significantly improves data throughput. 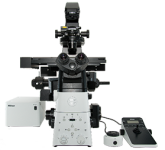 The Eclipse Ts2R is the latest Inverted Microscope from Nikon for Research application. This microscope is an excellent starting building block for many research applications. 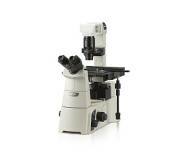 The Eclipse Ti-S Inverted Research Microscope is Nikon’s entry level research microscope. This microscope is an excellent starting building block for many research applications. The Nikon Eclipse Ts2 Inverted Microscope is the latest of the Nikon user-friendly inverted microscope for routine microscopy. The Nikon Eclipse Ti-E is the market leading inverted microscope that is capable of undertaking the most challenging bioscience imaging needs. 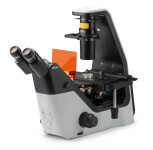 The Nikon Eclipse TS100 is a user-friendly inverted microscope for routine microscopy.